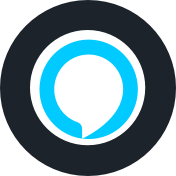 This document covers the branding, best practices, and customer experience that create a great Alexa companion app. 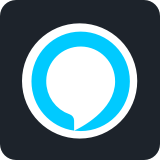 A successful Alexa companion app should allow your customer to quickly and easily set up and configure Alexa, educate your customer about how to use Alexa, and drive engagement with Alexa. Your companion app branding includes both the app name and tile. This is the first thing customers will see when they search for, download, or open your companion app. If you are including the word "Alexa" in your app name or the Amazon Alexa logo in your app tile, you must follow the guidelines below. 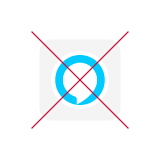 Not begin with the word "Alexa"
Keep in mind when designing the app tile that you must adhere to the Amazon Alexa brand guidelines, specifically the what not to do section. Here are additional use cases, specific to app tiles. Alexa setup consists of three steps: introduction, authentication, and customer education. The introduction and education steps should explain what Alexa is and what she does, highlighting the benefits of voice control. Setup should be integrated into the product OOBE flow so that the customer moves directly from product setup into Alexa setup. For information on creating your setup flow, see the Setup and Authentication overview. The introduction and education stages of setting up Alexa, as well as the Alexa settings portion of your companion app, all provide opportunities to educate the customer about the benefits of using Alexa. For those products that are voice-initiated, how to turn the product’s microphones off. This reinforces the information provided in the user guide, ensuring new customers are educated on how to use your device. You must include an easy-to-find, no-hassle way for customers to sign out. It can be integrated into the companion app's Alexa settings or may be a standalone screen within the app. If it is a standalone screen, we recommend using the Things to Try content so that customers are reminded of the benefits of staying signed in. Alexa settings within your companion app will give your customer more control over their Alexa experience without having to use the Alexa app. The Alexa settings section should be labeled “Amazon Alexa” and if you use logos for each setting, use the Alexa brand asset provided by Amazon. 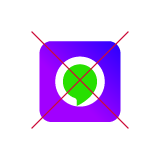 This can be either on the device or in your companion app, however, it is strongly discouraged to put this in your companion app as it does not provide your customer with a great Alexa experience. If your companion app is the way a customer physically interacts with Alexa, it must follow the following guidelines for both buttons and Alexa states. 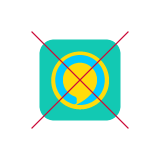 A product should ideally display the Alexa states on the product and not in the companion app, as it is not a good customer experience. However, if you choose to display the Alexa states in the companion app, you must communicate state to customers either visually or with the sounds provided by Amazon. A great product experience communicates Alexa states with both, and they should be synchronized. Your companion app needs to use audio cues to indicate when Alexa has started and stopped listening. Sounds communicate Alexa states and should use the sound file optimized for your speaker quality. Typically companion apps use the “medium” set, though there are three sets of sound files available. See Attention System Sounds for more details. Coupled with a VUI response, voice chrome visually communicates Alexa’s various attention states to customers. For specific guidance on colors and animations for each state, see Attention System Voice Chrome. Consistent use of Amazon Alexa brand assets throughout your companion app will protect product integrity and help customers to instantly recognize references to Amazon Alexa, thereby allowing your app to be clearly understood. See AVS UX Logo and Brand Usage for more information.